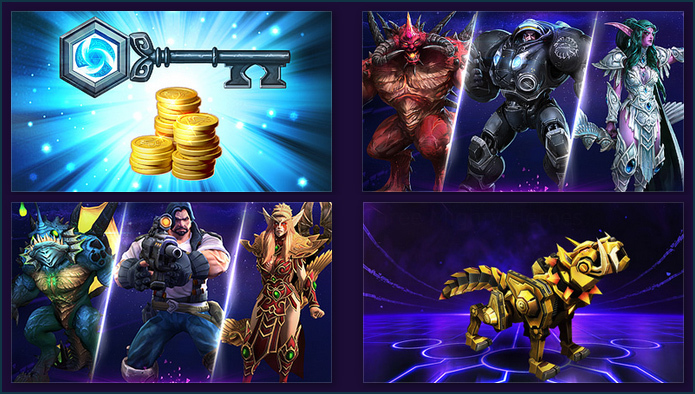 The Founder’s Pack gets you all of these Heroes and Skins at a discounted price, as well as the fierce and imposing Golden Cyber Wolf Mount, which can only be obtained through purchasing the Founder’s Pack or the in-game Battle Bundle (also priced at $39.99). You can learn about other ways to get in on the action in our “Prepare for Closed Beta with Fighting Words” blog. We also have more exciting stuff in store, including another epic giveaway, so make sure to stay tuned to our official site for updates.